Do not Want Your Stomach Bloated, Immediately Away 4 Things ItsteemCreated with Sketch. We all know, if the bloated belly can make no confidence, especially when we meet with people we know like friends, colleagues, even to others. We must also emphasize the appearance, especially the parts of the body that we must keep in order to remain attractive and fascinating. 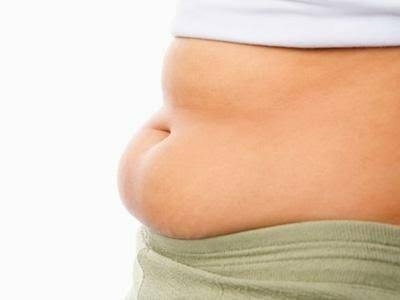 One of them bloated stomach that we should prevent because it will only make the appearance less than the maximum and less eye-catching. Who does not like snacking, snacking is something fun especially if there is nothing done, for example, more upset, breaking up with a girlfriend, alone in front of the television, would be more cool if while snacking. But remember, do not like to eat snacks at night especially during the hours of sleep. Why ?, Because it will only make the existing calories in our body is not burning to the maximum so that it can lead to fat accumulation in the abdomen. Energized drinks can also cause distended stomach, '' wah while energy drinks are refreshing drinks that we often encounter in stores, or the nearest supermarket when we are thirsty. But why should energy drinks? Yes, because energy drinks have a calorie content that makes the heart work harder. So, for you who like to drink energy drinks do not consume too often, because it will result in a distended stomach. Well, this one thing is an activity that we often do every day. Too long sitting can cause a distended stomach. Because sitting too often, such things can cause poor body position, so the stomach becomes depressed. Therefore, take your time to walk for an hour every hour to avoid a distended stomach problem. Hayo, who likes to do this, do you know if you sleep after eating can make the stomach become distended?, This is because the digestive system can not run smoothly. So, you certainly do not want if your stomach is bloated just because of sleep after eating. The point is all the things we do too much is not good. So, do all your activities or lifestyle on a regular basis in accordance with a healthy lifestyle. Those are 4 habits that can cause your stomach distended, then we must avoid the bad habits in order to keep the health of the limbs, especially in terms of appearance, so you can always appear with confidence. But I have found that WHAT I eat causes bloating and inflammation more than WHEN I eat. For me — processed foods, sugar, and gluten. This post recieved an upvote from minnowpond. If you would like to recieve upvotes from minnowponds team on all your posts, simply FOLLOW @minnowpond.